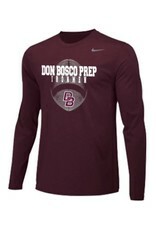 Nike Dri Fit Long Sleeve football T shirt comes in Maroon only. 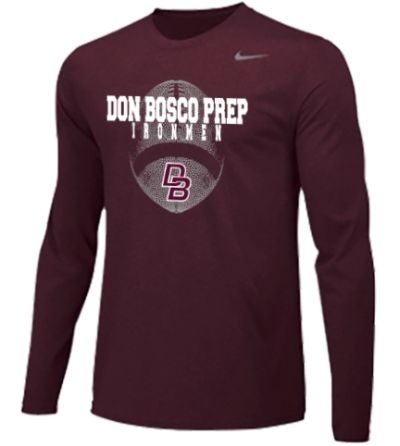 Don Bosco Prep Ironmen is silk screened in white and grey on the front of this shirt. This one is moving fast!